The SSE Enrichment program has been ongoing in Region 3 from September 2013. We are thankful to Dr. Srinivas Raghavan, National SSE Coordinator, for his active support in enabling the teachers and coordinators with a good understanding of the new framework. Continuing with that effort, there have been two enrichment workshops conducted in Region 3 this year. The first workshop was held in February 06th and 07th in Atlanta, Georgia. This workshop was targeted to help the centers and groups in the states of Georgia, North Carolina and South Carolina. 70 teachers and coordinators from these states, and across the region participated in this workshop held over 1.5 days. 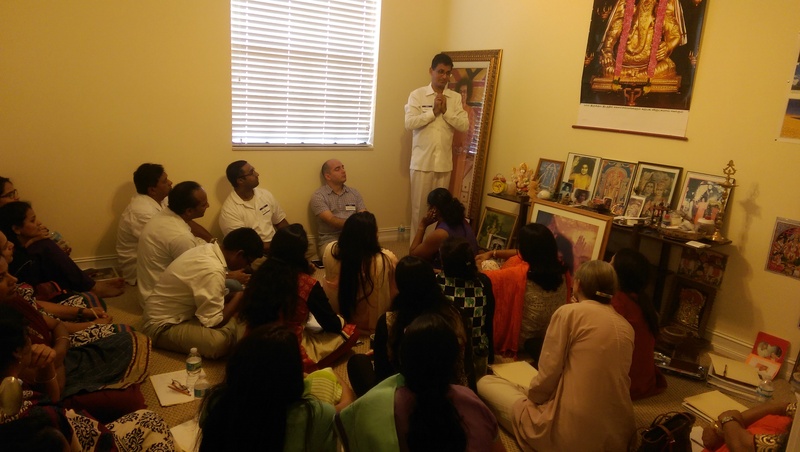 Dr. Srinivas Raghavan explaining the new framework at the Atlanta Workshop. The second workshop was held on September 11th and 12th in Cooper City, Florida, and was targeted at the centers and groups in Florida and St. Thomas, Virgin Islands. About 59 teachers and coordinators from these states, and across the region participated in this workshop. Like the previous time, this workshop too was held over 1.5 days and had a packed agenda. The workshop started with a prayer to Bhagawan to preside over all the sessions and bless the participants to absorb the discussions with attentiveness and clarity. The morning session was opened with a keynote address Dr. Srinivas Raghavan elucidating the purport and vision of the SSE program as laid out by Swami Himself. Quotes from the Divine Discourses provided a perspective of the sacred activity of being an SSE Teacher, and the significance of the mission. In the second session of the morning, elements of the new framework were explained in detail along with practical tips on how to adapt them into actual practice. The emphasis to the teachers and coordinators was to focus on “Unity in Thought, Word, and Deed”, and on “Self-Transformation of the Teacher and Children”, in every activity undertaken in the classes. In the afternoon, and on Sunday, brother Sunil Lekhi and Dr. Srinivas conducted parallel breakout sessions. 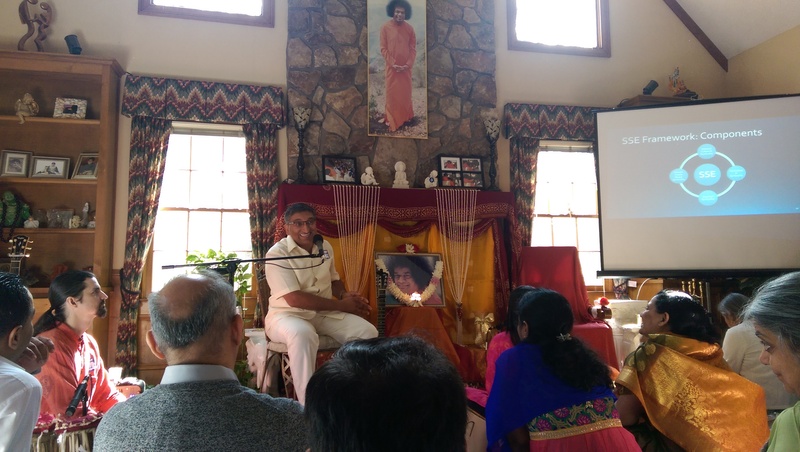 Special mention must be made of the fact that the participants were inspired by the energy, wit, and enthusiasm shared by brother Sunil, along with his thought provoking perspectives on applying Swami’s teachings to the SSE program. “Be Confident, and let the Divine in us communicate in each class”, he exhorted. In the evening, there was an open Q & A session for the teachers to discuss any questions they had on the program, and on best practice solutions for various scenarios. The proceedings on Sunday morning started off with a soulful offering to Swami by the participants. The breakout sessions continued on Sunday, and the program concluded with the distribution of certificates to the participants. 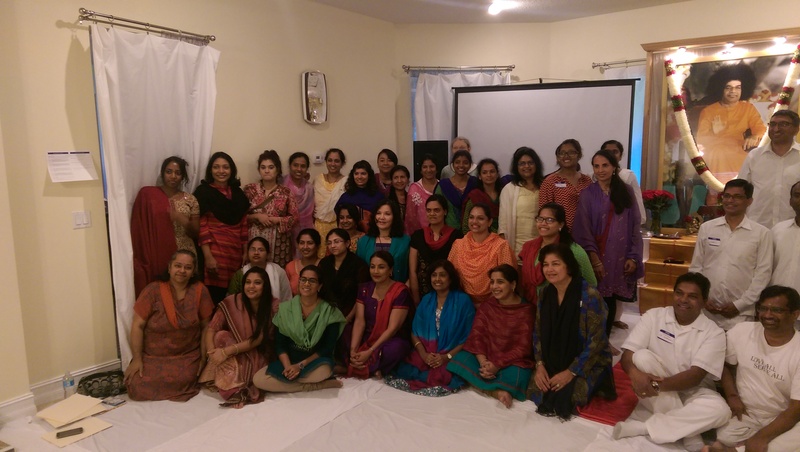 The teachers and coordinators all felt recharged as they began the new SSE Year. These two workshops provided an opportunity for every teacher and coordinator in Region 3 to gain a firm understanding of the new framework, and inspired them with many new ideas to carry forward in their classes. The Region 3 officers offer their gratitude to the national officers including Dr. Srinivas Raghavan (SSE) and Jack Feely (President) for their encouragement and support through this process.